YouTube is gaining popularity every year, with over a billion users all around the world, it offers tons of hours of videos and it generates billions of views every day. This social media channel has become a phenomenon and for this reason, nowadays YouTube stars are often more influential than traditional celebrities. And yes, you can make money through YouTube. 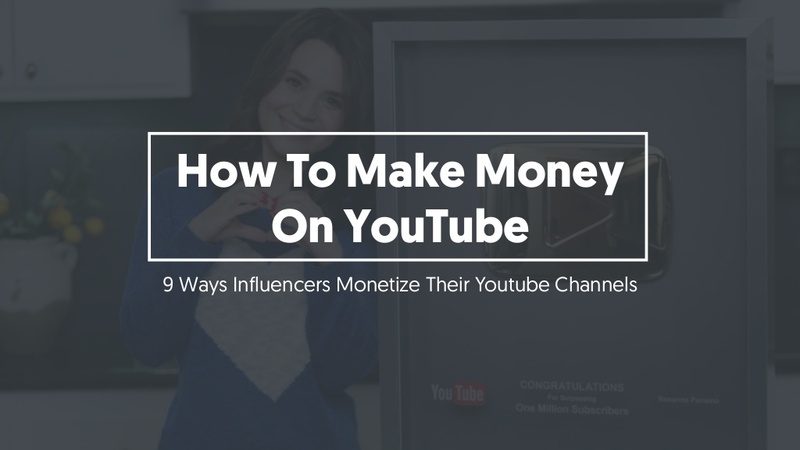 Creating and sharing your videos on YouTube is not only a hobby, but it can provide you with a great means to income that has the possibility if making you a millionaire. Case in point - PewDiePie who in 2016, generated $15 million according to Forbes. Maybe you already know this, but Google gives you the possibility to earn money displaying advertisements on your video, so you can easily earn $1 with just few seconds of break within your breathtaking video. Of course then Google keeps about 45% of what the advertisers pay, but what can we do about it. YouTube is your friend and it wants the best out of your relationship. For this reason, if you become a YouTube Partner, you will have the chance to get extra promotion and be included in various advertising programs worldwide; Isn’t it great? And now you are wandering: what is an MCN? An MCN is a Multi-Channel Network, which further translated means they can become your talent agent. In return of a percentage of your AdSense revenues, the will connect you with other YouTube stars. Pretty self explanatory: you become famous, your fans will be willing to spend $25 for a t-shirt with your big face on it! Believe it or not, if you will ever become a big YouTuber, sooner or later someone will ask you to write a book, create an app, make a DVD on your daily routine. If you decide to do so, you will then earn from other platforms that sell your product. And all thanks to YouTube! Have you ever watched a video of one of your favorite YouTubers who spent more than 10 minutes telling you how great was this new app where he had to sell vegetables at the grocery store? Well my friend, there is an high chance that he was paid to launch that product by a company! Once you have a good relationship with companies, they may also ask you to promote a product in a video and if one of your visitor ends up buying it, then the company will give you a percentage of the purchase price. Sweet uh? Ok, now, if you have followed the previous 7 steps and you actually made it to have some people that bought the $40 t-shirt (yes, it used to be $25 but hey, now you are famous! ), then you might consider creating gated content in a premium paid subscriber only channel. And then, for the big finale, here you are the last little advice I want to give you. Go crowdfunding! It is now a common practice and business model that will allow you to promote whatever you want.